Over 95% who try a softener keep it! Why not join them? For a no-obligation chat about a water softener trial, just fill out our contact form. After your 3 month rental-free trial period ends, you can either buy your water softener or you can rent it. From as little as £25 per month, you can have soft water 24 hours a day without the upfront cost of purchase. So if managing your monthly budget is important to you, talk to us today about renting a water softener. 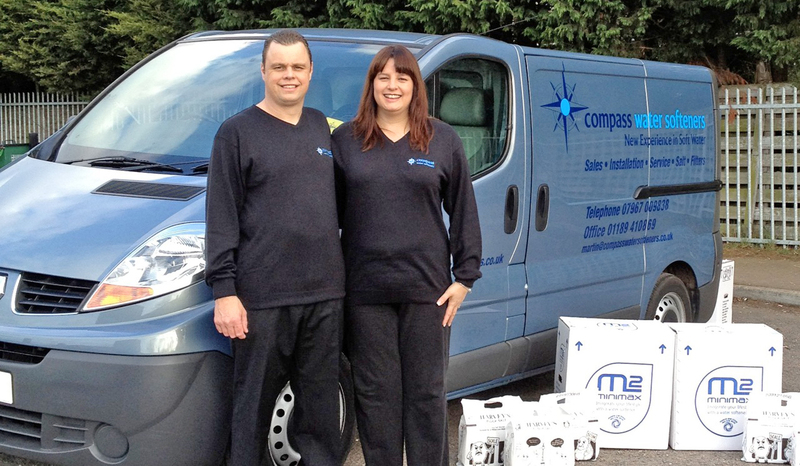 I’m Martin Perrin and, together with my wife Lisa, I’ve been running Compass Water Softeners in Reading for more than 20 years. I personally carry out all water softener installations and have over 3,000 satisfied customers. Our mission is to drive out scale and scum from your home, leaving you with softened water 24/7. Our 3 month free trial is the perfect way to see the benefits of a water softener in your own home. See the difference a water softener makes in your own home, arrange your 3 month water softener trial today. We’ll get back to you very shortly to arrange a convenient time for a demonstration – no obligation, no commitment. Please see the terms & conditions of the 3 month water softener trial.